Fact: Three hundred grand will get you a decent home pretty much anywhere in America. But depending on which state you live in, your house might also come with a seven-acre forest, a landscaped pool and a kitchen that would make Ina Garten faint. So let’s take a road trip. Here’s what you can buy for $300,000 in all 50 states. Hey, golfers. This turnkey home in Florence is located next to a lush course, which you can peep from the sunroom and patio. Who needs a fancy resort? We’ll just buy this house in Tucson and literally never leave the pool. 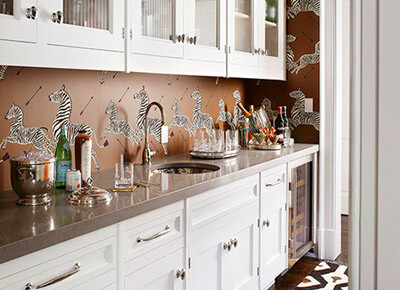 If crushing on a kitchen is wrong, we don’t want to be right. OK, we could get used to barbecuing in Apple Valley. 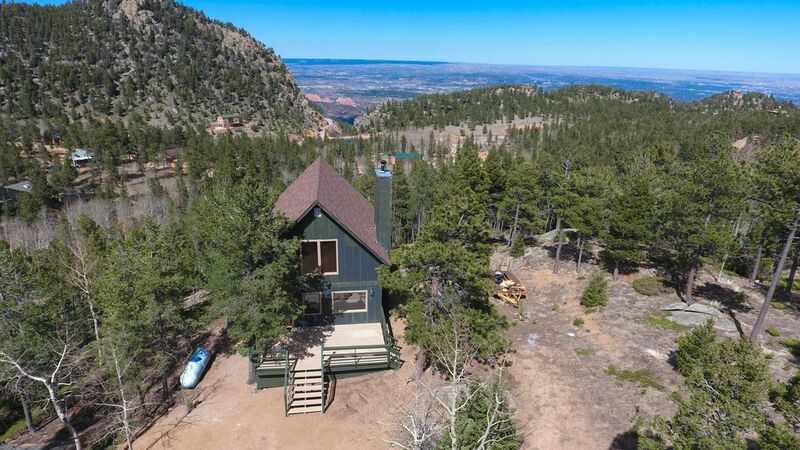 Welcome to your little cabin in the woods in Manitou Springs. Enjoy the view. This Woodstock colonial has a stone fireplace to keep you warm in the winter and a lake to keep you cool in the summer. Who cares how many bedrooms this home in Ocean View has? You’ll be spending all your time at Bethany Beach (only two miles away). Night swimming in our Oviedo backyard is about to become our favorite new hobby. Hmm, maybe we’ll make this log cabin in Cleveland our first vacation home. S’mores, anyone? When you live in place called Hawaiian Paradise Park, it’s impossible to be in a bad mood. Not enough palm trees? Don’t worry, there are more in the backyard. Cottage living at its finest (in Boise’s Rocky Mountain foothills). Oh heyyy, dream kitchen in Lombard. With that amazing copper sink, we don’t even mind doing the dishes. RELATED: Hey, ’80s Babies: The “Sixteen Candles” House Is for Sale! Can’t decide whether to live in the city or the country? This adorable little Craftsman is a 15-minute drive from downtown Indianapolis, but it also sits on 1.5 acres of land. Win-win. Who needs neighbors when you have a 2.5 acres, two ovens and a built-in espresso machine? If Dorothy had had a porch like this, she’d never have gone to Oz in the first place. Yeah, we think we could watch a few Netflix marathons in here. So if we move into this charming house in St. Martinville, we get to eat beignets every day, right? Who cares if it’s freezing in Parsonsfield for more than half the year? The house comes with 70 (yes, 70) acres of sledding hills. Want a quirky house full of character? Move to this charming Victorian in Haverhill. A cute-as-a-button bungalow just a block from Lake Michigan? Sign us up. If we can have this adorable dining room, we promise we’ll stop eating in front of the TV. So if we move to Vicksburg, we can basically live in a castle. Oh yeah, and there’s a greenhouse and a two-bedroom carriage house on the property too, NBD. New Yorkers, take note: In Saint Louis, you can live in the city and you get a dining room. If you need us, we’ll be right here, sipping lemonade. Who wants to mow a lawn, anyway? When we buy this seven-acre farm in Strafford, we can finally get that pony we’ve always wanted. Hi. This Rancho Rio home has soaring beamed ceilings, kiva fireplaces and a sprawling yard that overlooks the Sandia Mountains. Goodbye. For the sake of argument, let’s just see what $300K gets you in Manhattan. Congrats! It’s a 350-square-foot studio apartment on East 43rd Street. Why would you ever leave this sprawling ranch replete with wet bar, wine bar and big ol’ deck perfect for entertaining? Four bathrooms and a pool: We’ll take it! We’re kind of obsessed with the industrial-rustic ceiling in the kitchen of this 1939 Tulsa home. High-efficiency furnace. Charming porch. Newly remodeled kitchen. The dream is alive in Portland. Sure, it’s semi-detached, but it’s also just outside Philadelphia in one of the best school districts in the state. New England beach-town cottage goals. Can we just retire now to this fancy-pants gated community in Myrtle Beach? Six acres and your own private lake. Oh, and did we mention there’s a treehouse with electricity? This Knoxville stunner features four sunlights, a solarium, a spiral staircase and, um, a natural spring that flows through the property. You want brand-spanking new and sprawling? That’s what you’ll get in this 3,000-square-foot Katy Oaks McMansion. Ever dream about a quiet cabin in the middle of nowhere? Yeah, us too. This '60s split-level is extra groovy, thanks to a huge wooded backyard and open-concept floor plan. We don't know where Moorefield is, but we're job-hunting there immediately. And…bye. We’re quitting life and moving here.